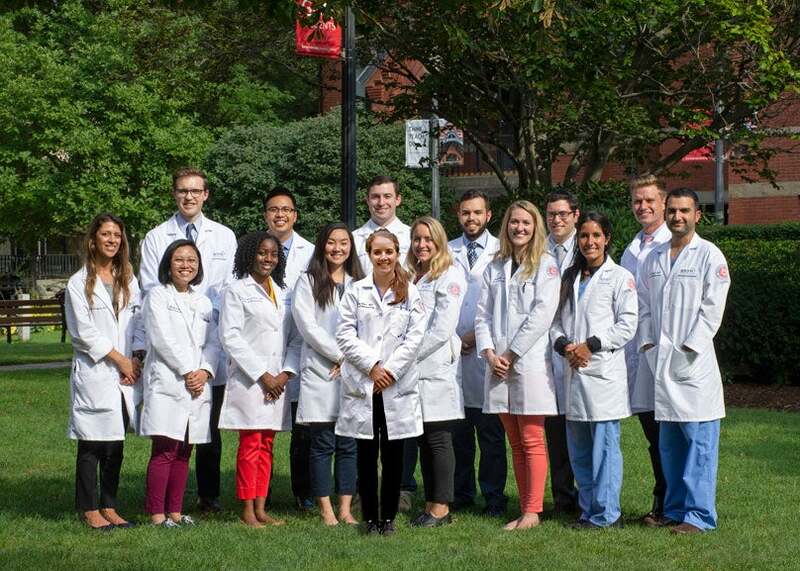 The Otolaryngology-Head and Neck Surgery Residency Program at Boston University Medical Center provides an excellent postgraduate education in all aspects of otolaryngology-head and neck surgery. Our residency has a long and illustrious history. Dr. M. Stuart Strong who was the first chair of our Department is the otolaryngologist who pioneered the use of the carbon dioxide laser for laryngeal surgery. Graduates of our residency have held leadership positions in almost every otolaryngology professional society, many are leaders at academic otolaryngology departments throughout the United States, and other graduates have become highly successful in community based practices. One of our graduates is the only otolaryngologist ever to have been elected to serve as the President of the American College of Surgeons. We accept three residents each year. The hub for the residency is the Boston Medical Center, an urban academic safety-net medical center with 514 beds, 22 operating rooms, and 133,000 Emergency Department visits each year. Residents spend most of their time at the Boston Medical Center and rotate for 3 or 4 month blocks to Veterans Administration Medical Center, The Lahey Hospital and Medical Center, and The Boston Children's Hospital. Our faculty is comprised of fellowship-trained specialists in all areas of Otolaryngology including; Pediatrics, Rhinology, Laryngology, Otology, Head and Neck Cancer, and Facial Plastic Surgery. We strive to continually improve the education and training experience for our residents. In fact, for the past 15 years we have had a unique "Service versus Education Committee" that closely monitors the balance for our residents between time spent providing patient care and time devoted to their education. We encourage residents to pursue research and provide the resources necessary to successfully complete research projects undertaken. With the clinical, scientific, and cultural opportunities in Boston, we believe there is no better city for medical education. We are extraordinarily proud of our residency program and we would be delighted to hear from you if you have any questions or we can provide for you additional information about our program so don't hesitate to get in touch with us. Our motto is Cogito, Cognitio, Curatio. as a consequence of the exercise of our mental powers.